Chester Himes’ recurring characters, black detectives Coffin Ed Johnson and Gravedigger Jones, are two of the most memorable cops in the pulp realm. And Himes’ Harlem Cycle novels – including Rage in Harlem -- is like Ed McBain on cocaine. Rage has the detectives searching for a trunk-full of fool’s gold used to hook suckers into investing in a phony mine. The duo stump through the streets of New York City, bullying, bludgeoning and occasionally shooting holes in its lower order denizens until they figure everything out. On the way, their search for the facts brings them across a love-struck hearse driver who has filched a wad of money from his mortician boss, the driver’s larcenous girlfriend, a group of transvestite scammers who are running a religious hustle and the violent gang behind the gold fraud. The stakes are high because two of the gangsters are real desperadoes who committed a murder in the south -- although, as Himes lets us know, they only killed a black man, which isn’t actually a crime below the Mason-Dixon line. 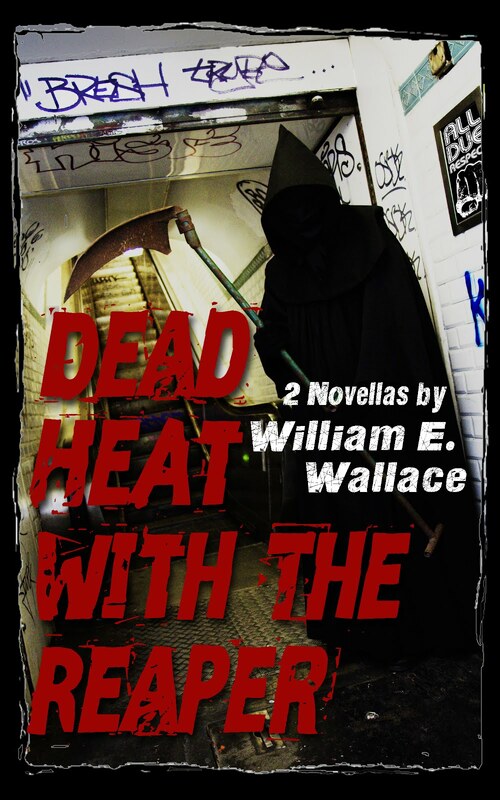 These Himes thrillers are detective yarns, but that’s where the similarity to Ed McBain’s 87th Precinct stories ends. It would be wrong to call Himes’ novels police procedurals, because procedure is a matter of formality, the following of steps in a fixed manner. The only thing fixed about Coffin Ed and Gravedigger Jones are the gunsights on their long-barreled nickel-plated pistols and the way one shouts out "count off" when the other one orders a crowd – whether of criminals or bystanders – to "straighten up!" 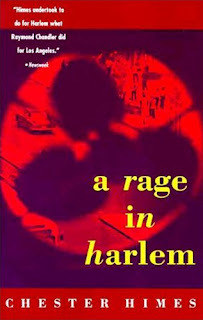 Rage in Harlem is not nearly as marvelous as Cotton Comes to Harlem, but that doesn't keep it from being a terrific read. Himes is like Walter Mosley, only with a New York accent: his prose is violent, cynical and extremely funny, and when it comes to the telling detail, he is a dead-eye shot . . . I can't believe I lived to be nearly 65 before I discovered this guy. Now I have to make up for lost time. . . I rate Rage in Harlem four out of a possible five nooses. All The King's Horses. . .
You May Cotton to This. . .